With all the recent publicity about the health and environmental benefits of reducing one’s meat and dairy consumption, people all over the UK are actively seeking to replace their meat and dairy with decent vegan options – but where to start? 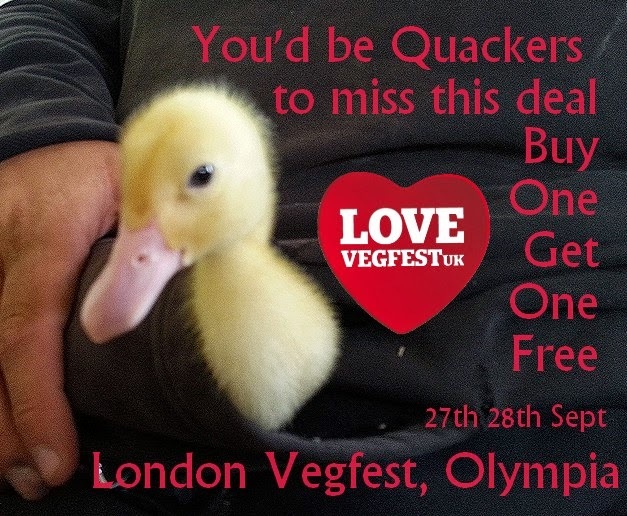 Look no further than VegfestUK London – the UK’s biggest vegan event and full of inspiration to help even the most hardened meat lovers amongst us. Antarctic Ice Marathon Champion in 2013), plus Goldblade frontman John Robb and Australian musician Vegan Smythe (making his UK debut at the show) along with many other interesting special guests.